Russian bandages that can stop antibiotic-resistant bacteria is finding strong demand in Persian Gulf countries, while in Africa they look set to put local witch doctors out of business. Scientists in the western Siberian town of Tomsk were not thinking of skin diseases, bedsores, and venous ulcers when three years ago they tried to create a water filter based on the physical phenomenon of electrostatic interaction. Inadvertently, however, they developed a new and very powerful material for first-aid bandages. Initially, scientists at the Tomsk Physics Institute of Resistance and Material Studies(IMPA) were trying to create nanostructures to absorb microorganisms from aqueous solutions. Later on, however, they realized that the same idea could be applied to bandages. "We tested the filters and bacteria did not break free from our nanostructures even if we put 10 cubic meters of water through the filter per hour.'' said Sergey Psakhie, director of IMPA. ``The same effect worked with the bandages. This helps to solve the problem of antibiotic-resistant bacteria." Wound infections remain a public health problem in many countries, and the misuse of antibiotics to prevent infections leads to increased bacterial resistance. According to the Tomsk scientists, their bandages are capable of healing wounds without taking antibiotics, and the bandages accelerate the healing of wounds by up to three times quicker than usual. Also, heavy bleeding is stopped in two minutes. Thanks to these unique qualities and the low cost, the bandages are currently used in developing countries where medicine is often inaccessible. Recently the scientistsreceived a letter from Mozambique about a local boy who severely burned his leg during a motorcycle accident. 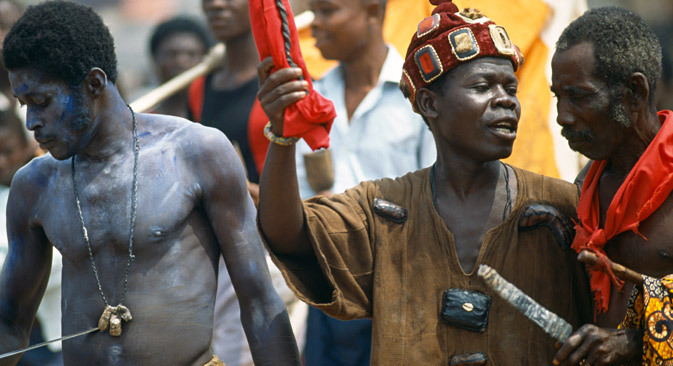 He didn’t go to the hospital, but instead turned to a witch doctor, which didn't help. The bandages are sold under the Vita Vallis brand, by a company called Akvelit, which already exports them to Poland, Vietnam and South Africa. "Beside the main antiseptic quality, we realized that the bandages also relieve pain and accelerate the regeneration of tissues," said Natalya Kirillova, director of Akvelit. This year Akvelit signed a contract to sell the bandages to the United Arab Emirates and other Persian Gulf countries. The first shipment contains 150,000 bandages, and that amount is expected to soon increase by 10 to 15-fold. The Russian scientists say the bandage's only limitation is that it’s not suitable for dry wounds because they don’t heal quickly. However, there is still the pain relief effect.